Anders Laursen is president of The Danish Musicians Union (DMF) which has musicians of all genres as members. Additionally he is Vice-president in FIM. 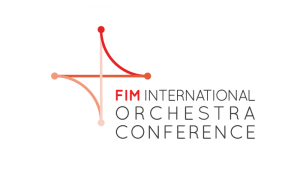 To have FIM’s Orchestra Conference running again and again has been his political goal for many years. As the musicians organisation in Denmark, DMF among other is working for performers rights in a digital time, cultural policy, music in the obligatory school for our children and for the life-and working conditions for performing musicians – both freelancers and musicians in orchestras.